I’ve died and gone to…….. Worked until noon today then made my way to heaven on earth. I love Yellowstone. It’s not just the wildlife photography. It’s the peace and quiet. The constant meeting of new friends that experience God’s wonders with me. And a slower heart rate, no teeth grinding, little or no phone calls, green apples, lunchables, low temps, and The Ten Tenors softly serenading. Checked in the Hotel. Then made my way into the Park at about 4:30pm. A couple of hours to enjoy. 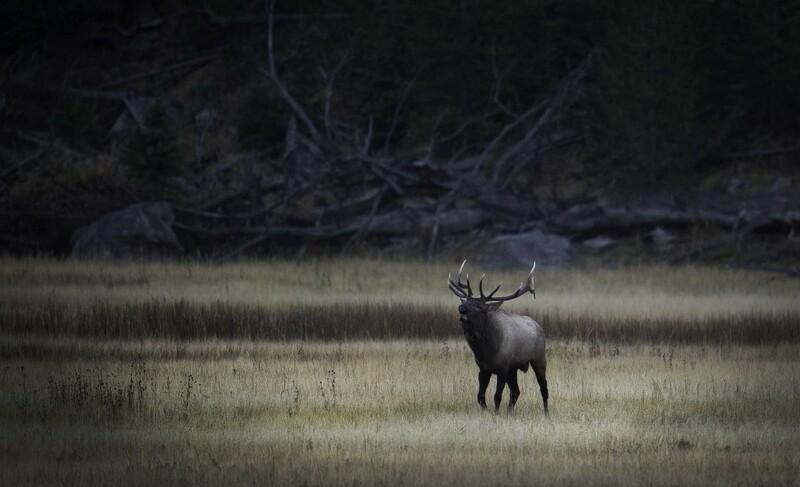 The Madison is a good place to start my adventure with the Elk during their Rut! With rain making it’s daily mark I found my first Bull and his group of cows. The usual bugling and herding taking place. Fun, Fun, Fun to watch and capture. The bull rarely eats. And is constantly moving/herding his cows. When bringing a cow back to the group the bull throws his head back and charges the elk that is wondering too from his control. I stayed until the rain was really coming down and the light was diminished. Heading back down the Madison A Bald Eagle caught my attention. 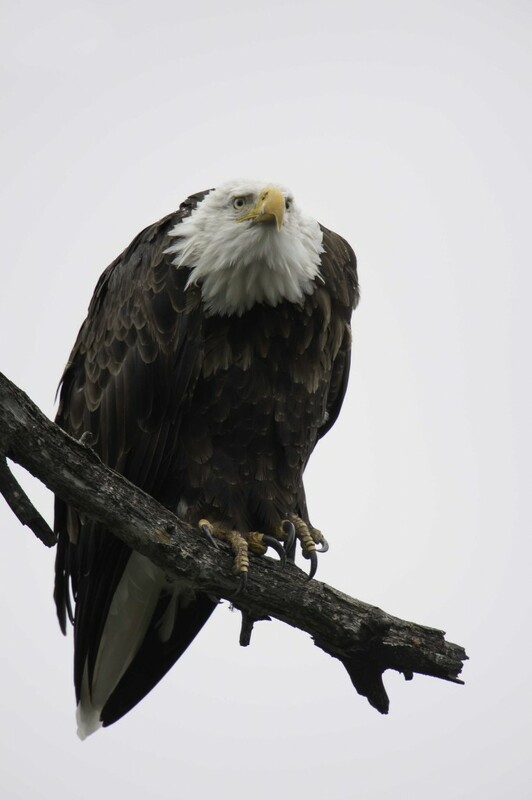 When perched along the Madison the Eagles are usually fishing. 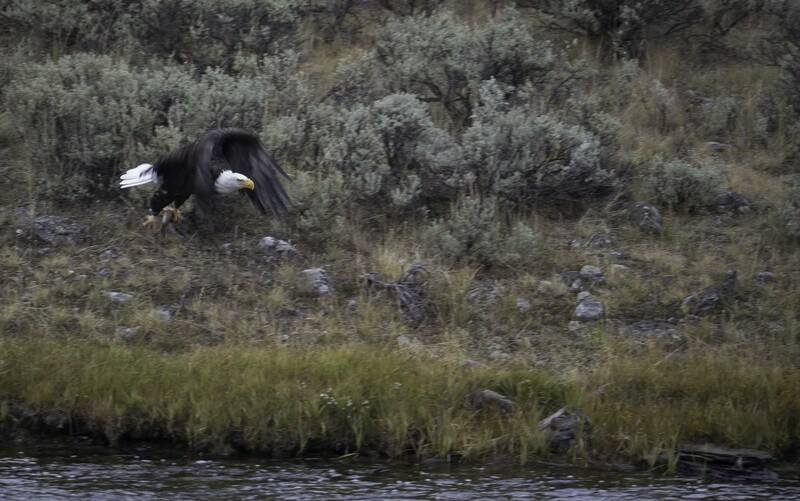 To my surprise the Eagle flew across the Madison and landed full talons out on a small animal. I could not tell what animal it was. If you look close at the eagles talons you can see the little critter. That’s awesome dad! I like all the elk pictures. I can remember the smell of Yellowstone just sitting here looking at the pictures. I miss it, and having hot cider in our trailer. Maybe when little stinker gets older, next year our whole family can go on a family trip to Yellowstone!!!!!! 🙂 Love ya dad!